With the recent release of ASP.NET Core, the .NET community has a cross-platform, open-source option that allows you to run Docker containers on Google App Engine and manage containerized ASP.NET Core apps with Kubernetes. In addition, we announced beta support for ASP.NET Core on App Engine flexible environment last week at Google Cloud Next. In this post, you’ll learn more about that as well as about support for Container Engine and how we integrate this support into Visual Studio and into Stackdriver! Use the “runtime” setting of “aspnetcore” to get a Google-maintained and supported ASP.NET Core base Docker image. The new ASP.NET Core runtime also provides Stackdriver Logging for any messages that are routed to standard error or standard output. 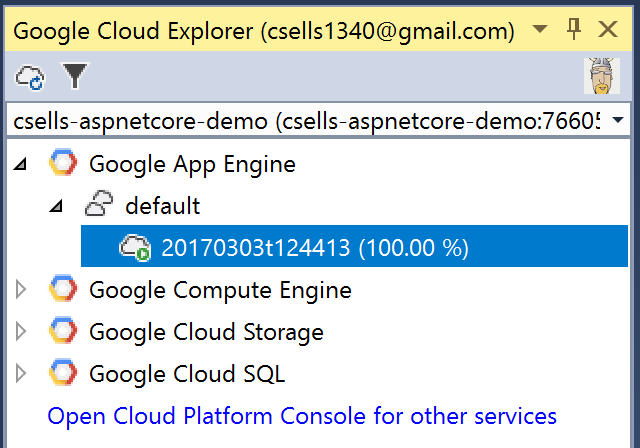 You can use this runtime to deploy your ASP.NET Core apps to App Engine or to Google Container Engine. In fact, you don’t even need that last command to publish that app — it just shows it once it’s been published. Replace <MYSERVICE> with the desired name for your service and these two commands will deploy the image to Container Engine, ensure that there are two running replicas of your service and expose an internet-facing service that load-balances requests between replicas. The final command provides the external IP address of your newly deployed ASP.NET Core service so that you can see it in action. The same underlying commands are executed regardless of whether you deploy from the command line or from within Visual Studio (not counting differences between App Engine and Container Engine, of course). Choose the option that works best for you. For more details about deploying from Visual Studio to App Engine and to Container Engine, check out the documentation. And if you’d like some help choosing between App Engine and Container Engine, the computing and hosting services section of the GCP overview provides some good guidance. 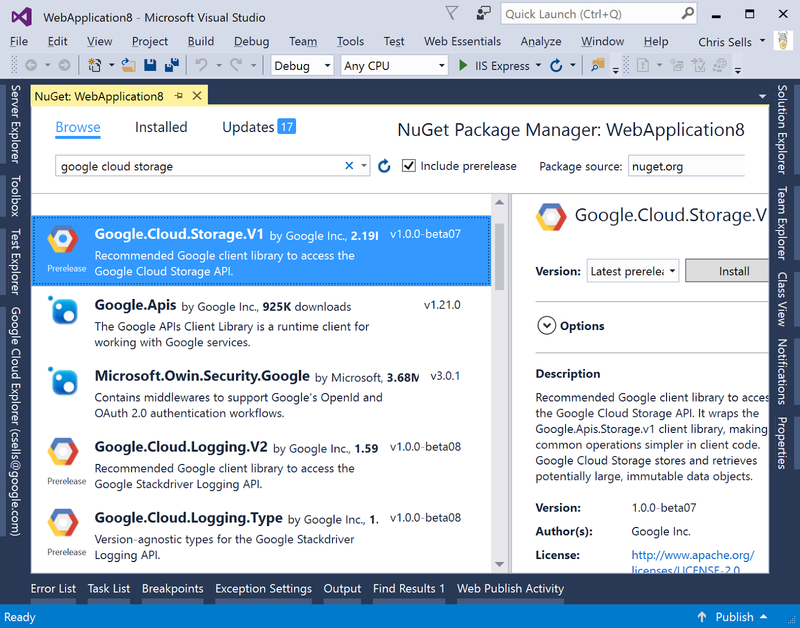 If you deploy to App Engine, the App Engine node in Cloud Explorer provides additional information about running services and versions inside Visual Studio. The Google App Engine node lists all of the services running in your project. You can drill down into each service and see all of the versions deployed for that service, their traffic allocation and their serving status. You can perform most common operations directly from Visual Studio by right-clicking on the service, or version, including managing the service in the Cloud Console, browsing to the service or splitting traffic between versions of the service. For more information about App Engine support for ASP.NET Core, I recommend the App Engine documentation for .NET. 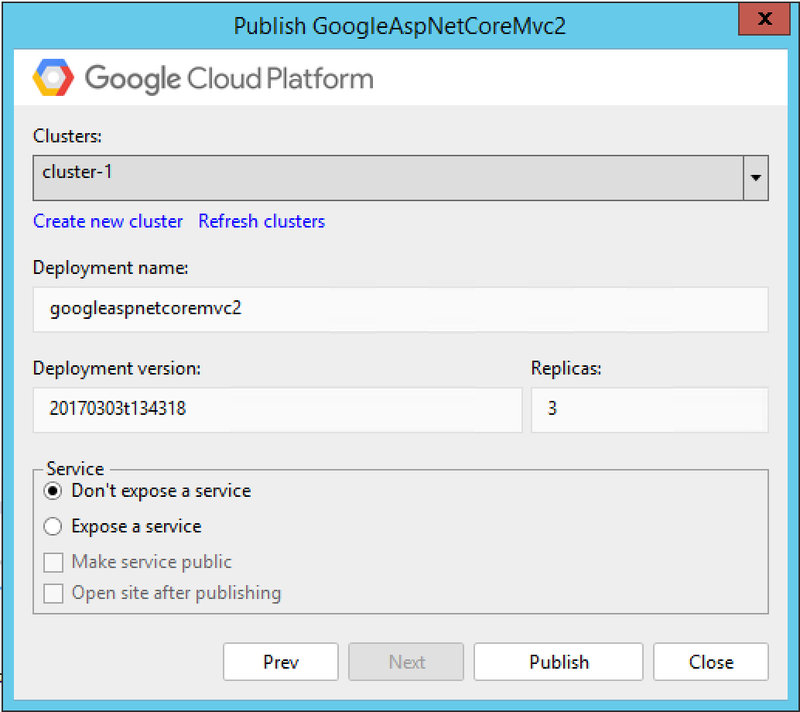 These same libraries work for both ASP.NET and ASP.NET Core, so feel free to use them from your container-based apps on GCP. Stackdriver integration into ASP.NET Core lets you use Logging, Error Reporting and Trace to monitor how well your app is doing in production quickly and easily. For more details, check out the documentation for Google.Cloud.Diagnostics.AspNetCore. 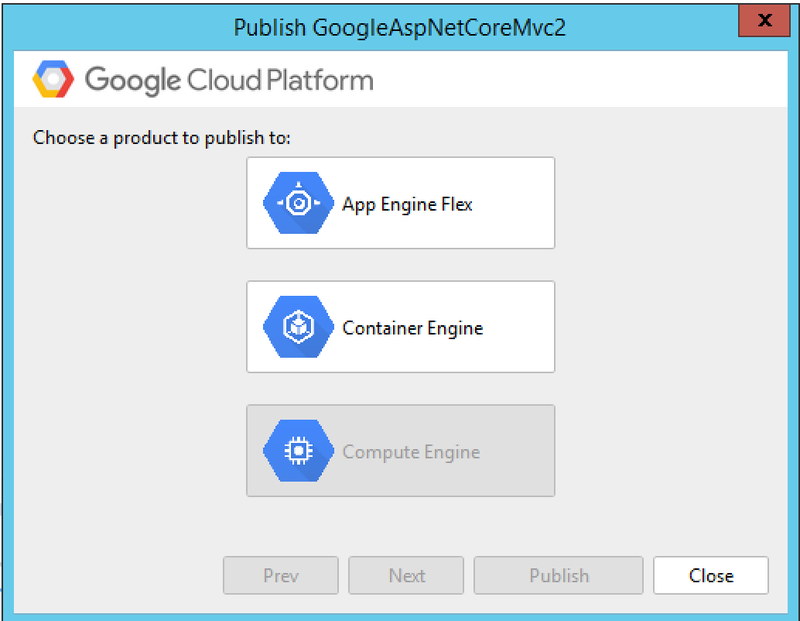 As containers become more central to app packaging and deployment, the GCP ASP.NET Core runtime lets you bring your ASP.NET skills, processes and assets to GCP. You get a Google-supported and maintained runtime and unstructured logging out of the box, as well as easy integration into Stackdriver Logging, Error Reporting and Trace. 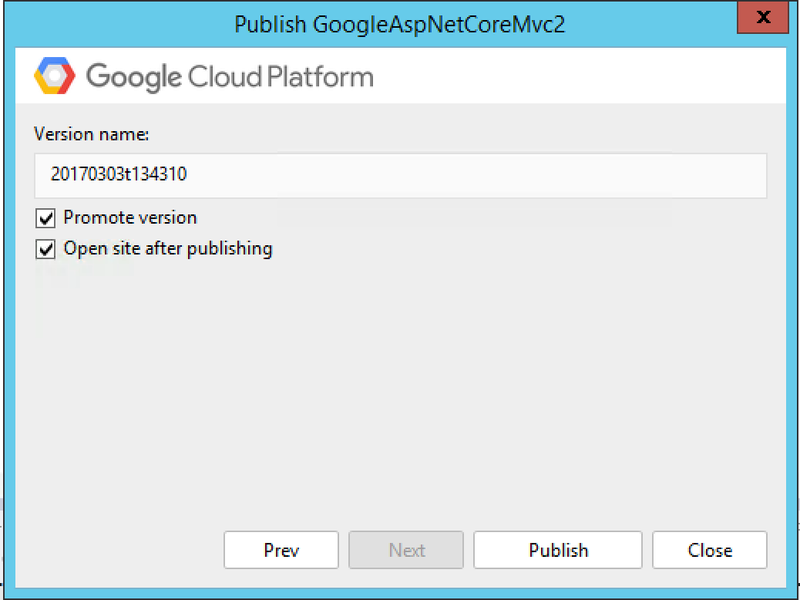 Further, you get all of the Google APIs in NuGet that support ASP.NET Core apps. And finally, you can choose between automated deployment processes from the command line, or interactive deployment and resource management from inside of Visual Studio. Combine that with Google’s deep expertise in containers exposed via App Engine flexible environment and Google Container Engine (our hosted Kubernetes offering), and you get a great place to run your ASP.NET Core apps and services.